Oh my! What just happened during the past five days? The atmosphere was off the charts, the screenings more than crowded, the guests shared their love and all in all, things went swimmingly. "If it only was next year already", as could be heard in the corridors. Rokumentti number six, simply the best! See y'all next year! 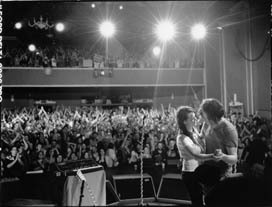 The 7th Rokumentti Rock Film Festival will be held from 16th to 20th November 2011! Friday's screening of Year of the Horse is sold out but no problem! There's an extra screening at Saturday morning 11:00. So if you like Neil Young Saturday is your day! We Don't Care about Music Anyway and Holding on to Jah screenings are sold out! We want to remind you to buy tickets in advance. And remember, today day is the day for party. DJ Polarsoul go hype at Teatteriklubi! Yesterday was a great success and today looks even better! There are few seats opening to the sold-out screening of No One Knows About Persian Cats. You can ask for them at the theatre Tapio. Today's screening of When You're Strange is sold out. If you are up to some great live music today is your day! Finnish melancholic rockers Viikate and Kaihoro are playing at Riverside and Kaukolasipartio takes over Pub Palaveri. Friday's screening of Enter the Void is almost full. If you want to see the film you better run to the ticket sales! Thursday screening of Bahman Ghobadi's film No One Knows About Persian Cats is sold out. Spare tickets can be asked from the door 15 minutes before the screening. There are seats at the Saturday screening of the film. Rokumentti program is now ready! The programme of Rokumentti is ready. And we have everything. There is Anvil, there are The White Stripes, there are The Doors, Lennon, and Neil Young. Heavy, hiphop, reggae, lunatics, religion and loads of more. Please go and see our programme, which also includes times for all screenings. Ticket presale will start at Movie Center Tapio on Monday 25th October. This is great, isn't it? The thematic programme of the sixth Rokumentti Rock Film Festival focuses on the experience of being an outsider. The selection of films tells the stories of people who have, for some reason or another, been pushed or voluntarily settled themselves outside the community of so-called normal people. Films from the outside of thematic programme includes Gaspar No�©´s Enter the Void, Bahman Ghobad´s No One Knows About Persian Cats and Hipsters, musical about youth in 50s communist Russia. See programme for more information. The thematic programme of the sixth Rokumentti Rock Film Festival focuses on the experience of being an outsider. The selection of films tells the stories of people who have, for some reason or another, been pushed or voluntarily settled themselves outside the community of so-called normal people. The history of rock music is full of artists who have not been able to fit the standards of normality defined by the society surrounding them, and these outcasts are often avantgardists, literally vanguarding new movements, creating new forms of art and mixing up the old ones. In the process, however, they often mess up their own everyday life, and artists rebelling against norms end up being elevated to mythical heroes or labelled as lunatics and rejected. It is often a thin line between a mad genius and an ordinary nutcase. Why do artists have the permission to be such a**holes? What kind of role models do those suicidal, delirious drug abusers actually set? Or is our society just blind to creativity? Is the grass greener outside the box? Here are some examples of questions we will look at with the help of the festival films and in the seminars. In addition to the thematic programme, Rokumentti Rock Film Festival features dozens of great music films as well as gigs by artists who are mostly in their right minds. The full programme will be published in the end of October. 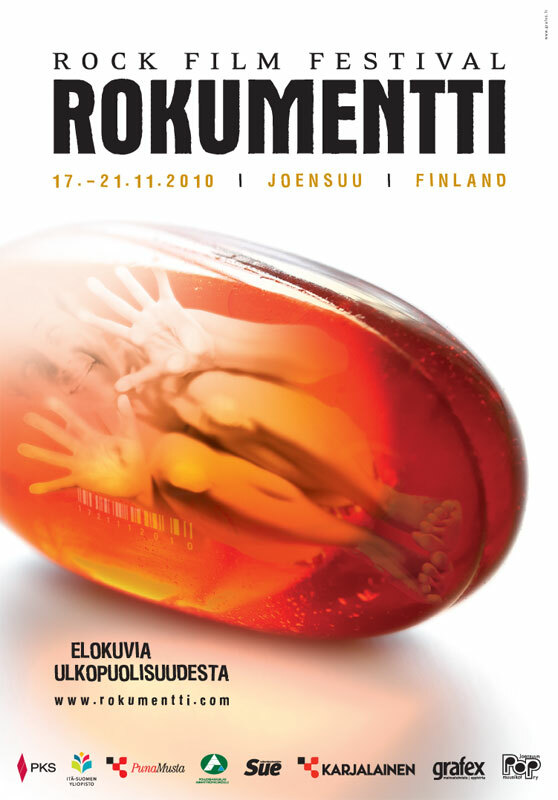 Welcome to Rokumentti Rock Film Festival in November �€“ let's stay outside together!